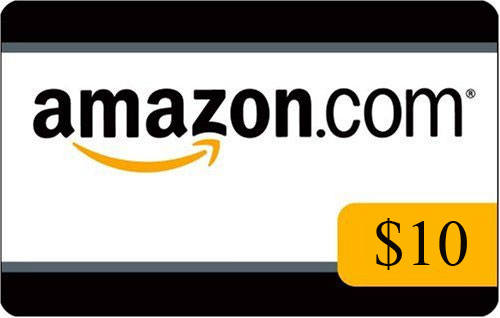 ~ ♥ Flash Giveaway ♥ ~ Enter to Win $10 Amazon Gift Card on Giveaway Bandit FaceBook page! Giveaway ends August 8 at 12:01 am! Winner will receive the Amazon Gift Card via email. The only mandatory option is to “like” us on facebook! Optional entries are obviously appreciated and make your chances of winning much higher! Entries open 8/05 through 8/08 at 12:01 am! You must be 18 or older to entry, or have your parents permission. Open WORLDWIDE! We are in no way sponsored or endorsed by facebook. You must go here to enter! I want to win so bad!! Working toward a Kindle!! I love reading these arilctes because they’re short but informative. I went to tons of links before this, what was I thiinkng? Amazon gift card = awesomeness!!! It’s really great that people are sharing this inforamtoin. Whoa, thnigs just got a whole lot easier. i really want to win, how do u enter? Go to http://www.facebook.com/giveawaybandit and look for the tab to the left that says enter to win amazon gift card. There will be a rafflecopter form load and you can enter there. Thanks! And to think I was going to talk to someone in preosn about this. A few years ago I’d have to pay somenoe for this information. It’s like you’re on a mssiion to save me time and money! I really would like to win- it helps buy gifts! Keep these articles conimg as they’ve opened many new doors for me.